PLEASE GO AND SUPPORT THIS GREAT INITIATIVE!!!! 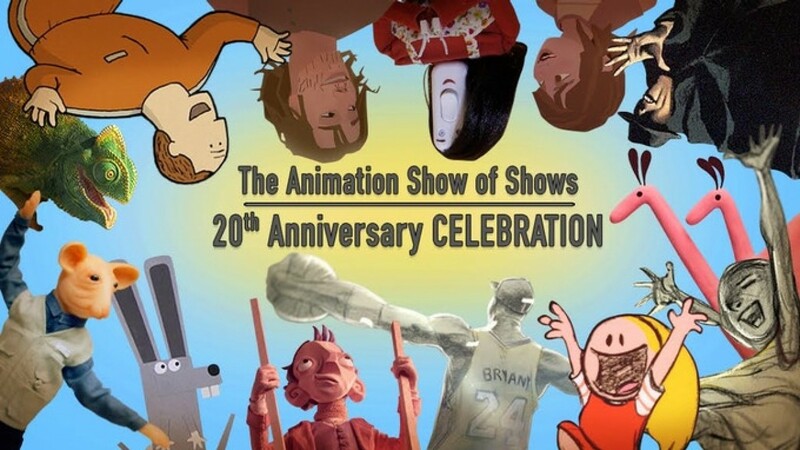 We will be celebrating this special anniversary … by curating TWO shows, The 20th Annual Animation Show of Shows, and a first-ever „BEST OF“ Animation Show of Shows. We further the celebration by featuring a very special array of new and creative Rewards.. The Animation Show of Shows is a 501(c)(3) not for profit organization, and by virtue of this status, pledges made to this campaign are tax-deductible, to the amount and extent allowable by law. See the FAQ’s below. Continuously since 1990, Ron Diamond was producing animation, marveling at the talent he was discovering – not just locally, but across the globe. Ron perceived that independent animators were producing short films that were poignant and brilliant, but despite their brilliance, these films often went unnoticed in the U.S. Ron also felt that animated shorts, more than any other genre of film, took on the personality of their creators. Because of this, they tended to evoke greater emotion and really connect with their audience. He wanted to share this wealth of great animation with the wider animation industry. In 1999, he produced the first-ever Animation Show of Shows. TWENTY YEARS – WOW! HOW TO CELEBRATE? We are marking this celebratory occasion by producing, for the first time, TWO Animation Show of Shows – the 20th Annual Animation Show of Shows, and a „Best Of“ Animation Show of Shows featuring the elite of the elite from past shows. We are also offering new and different Rewards, some that we’ve never offered before. Since inception, 38 of the films featured in the Animation Show of Shows went on to receive Oscar nominations. Even more received recognition at the most prestigious animation festivals around the world. So curating our Best Of Animation Show of Shows „ain’t gonna be easy.“ But we’re up to the task. The Animation Show of Shows not only looks across the globe, but also „outside the box“ for top-quality animated shorts that are distinct, innovative, unique, experimental, and diverse – whether in content, style, or in other ways. L: „Stems” by Ainslie Henderson 2015 (Scotland) Stop Motion; R: “The Battle of San Romano” by Georges Schwizgebel 2017 (Switzerland) Paint. If you’ve got questions, we have answers! Ron and her team are pleased to engage and respond. At the top of the page on the left there is a small round logo – click that, then click CONTACT ME to send us a message. We’ll get back to you! Over the years, we’ve done what we had to do – raising and/or borrowing money, financing some of the production, marketing and distribution from limited personal funds, etc. Each year we not only produce the show, but we expand its reach via showings in more theaters and more alternative locations. But this is not Ron’s first rodeo, so to speak. It’s the 20th annual show, and we’re proud of that. This tells you all you need to know about the scope of work, time frames, and budgets all being reasonable and known to us. Finally, this is a work borne of mission, and personal passion. We can say with total confidence – when the Kickstarter campaign succeeds, this show will be made, as will the „Best Of“ show, and all rewards will be delivered fully, and on a best possible timely basis.